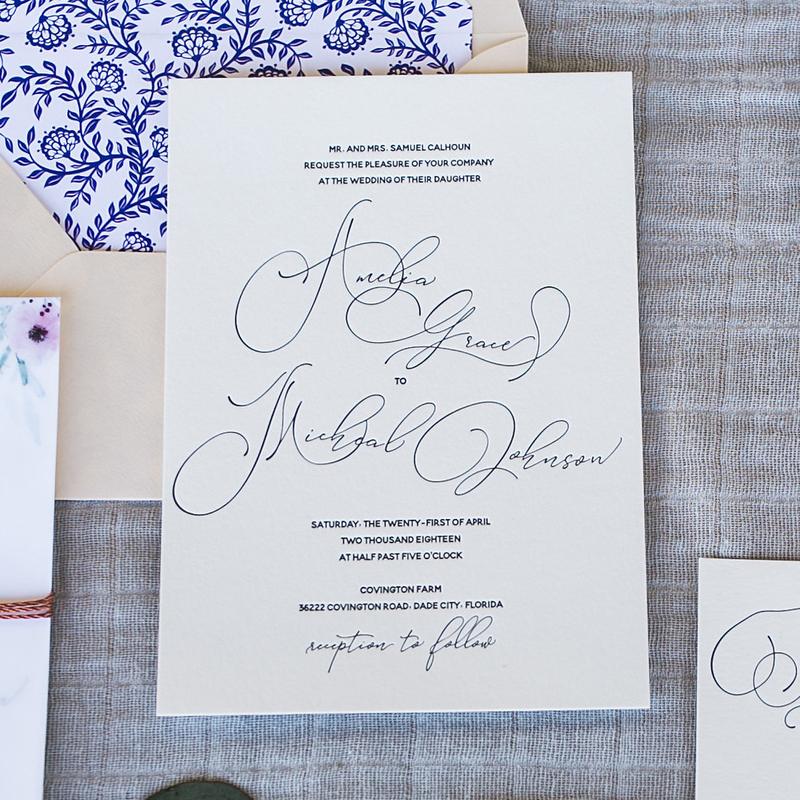 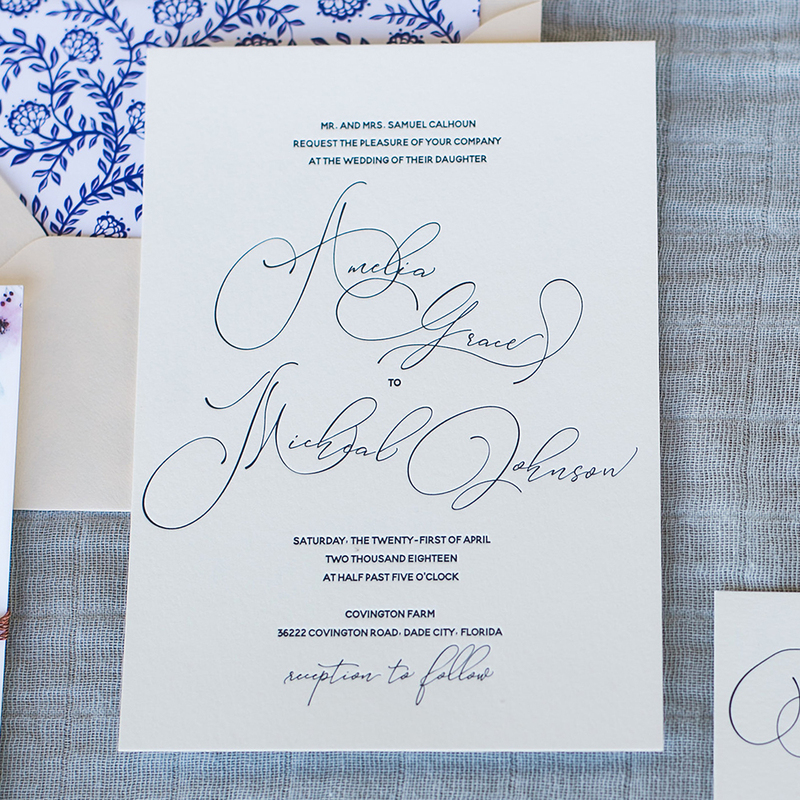 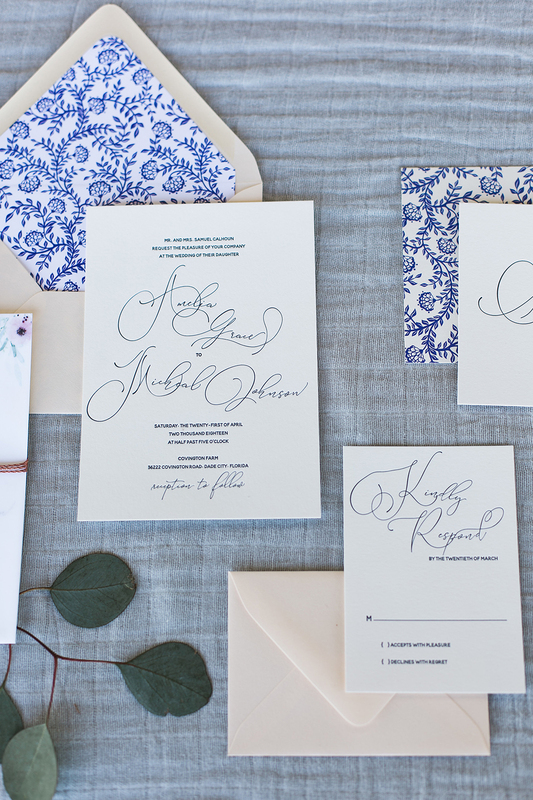 The Amelia suite is a modern take on a classic script font. 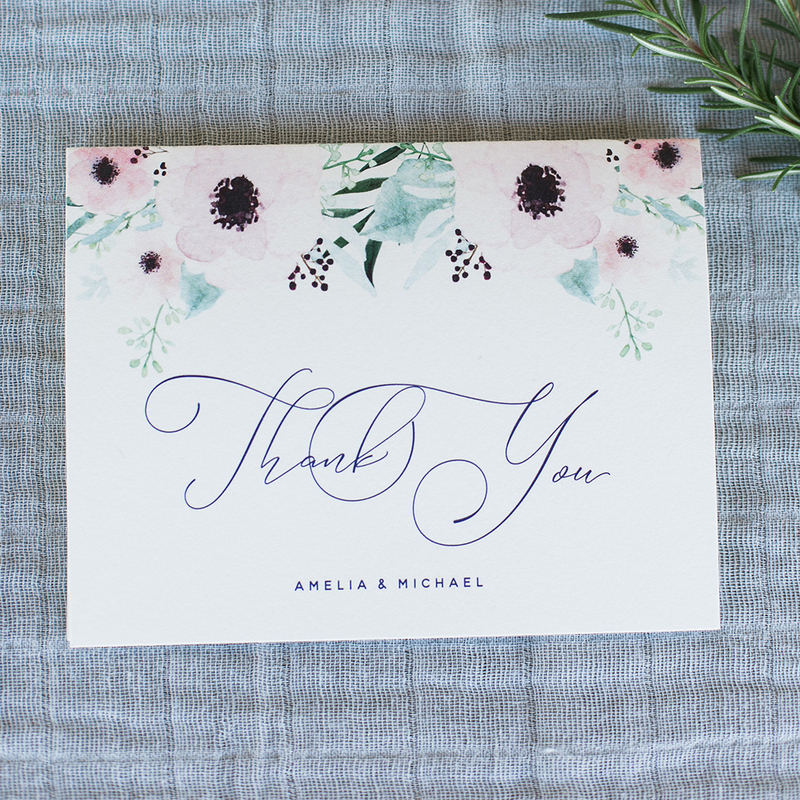 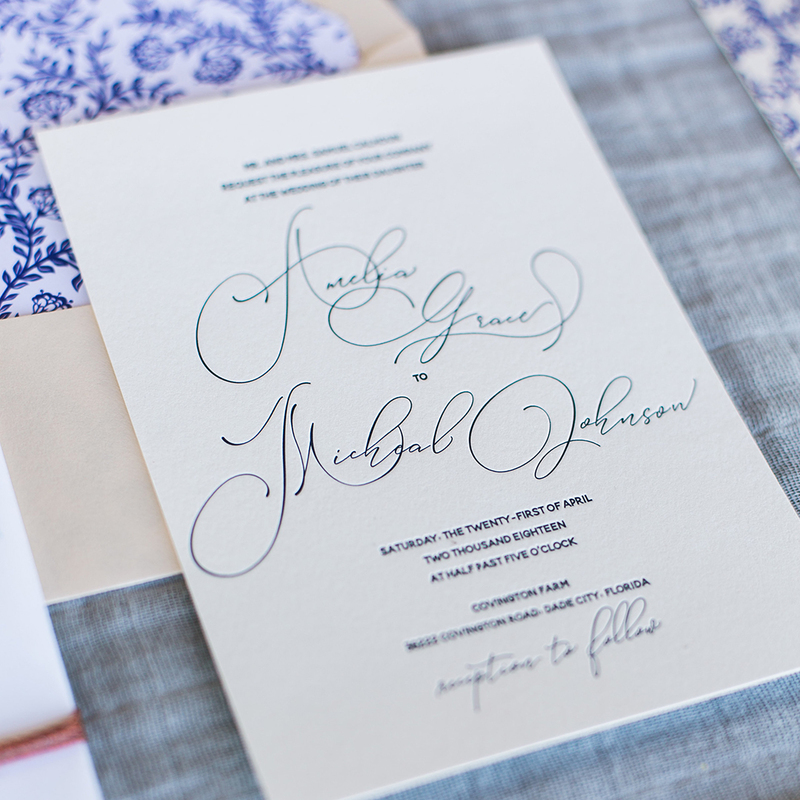 The overall design is classic with a little bit of a whimsical twist on the beautiful hand script font. 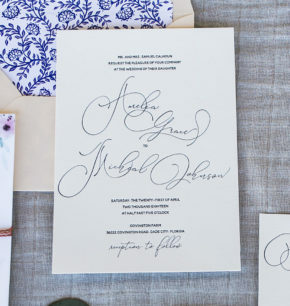 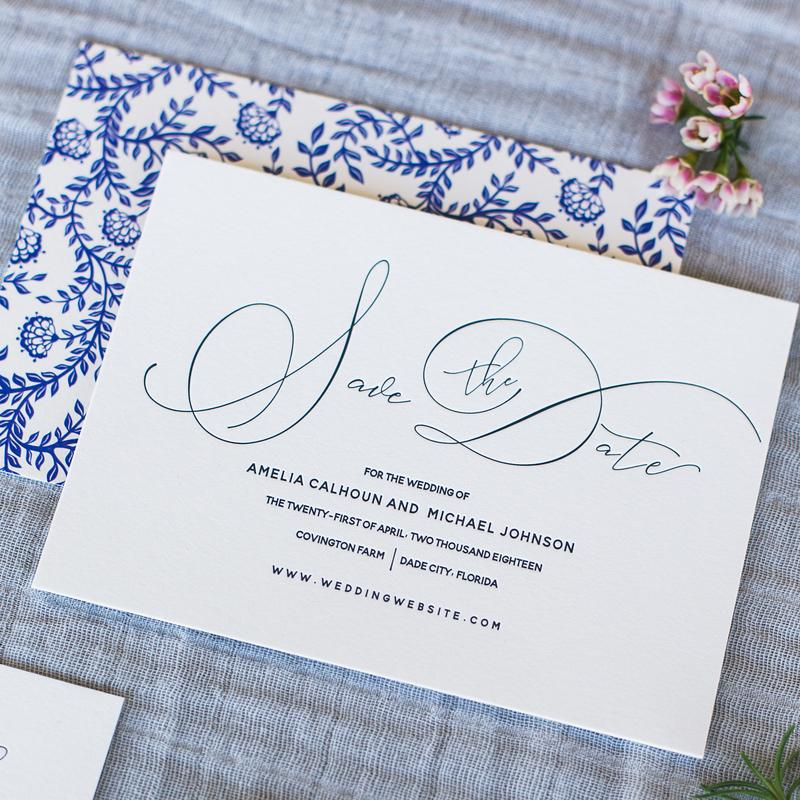 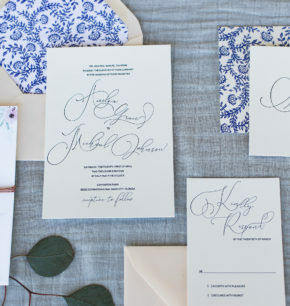 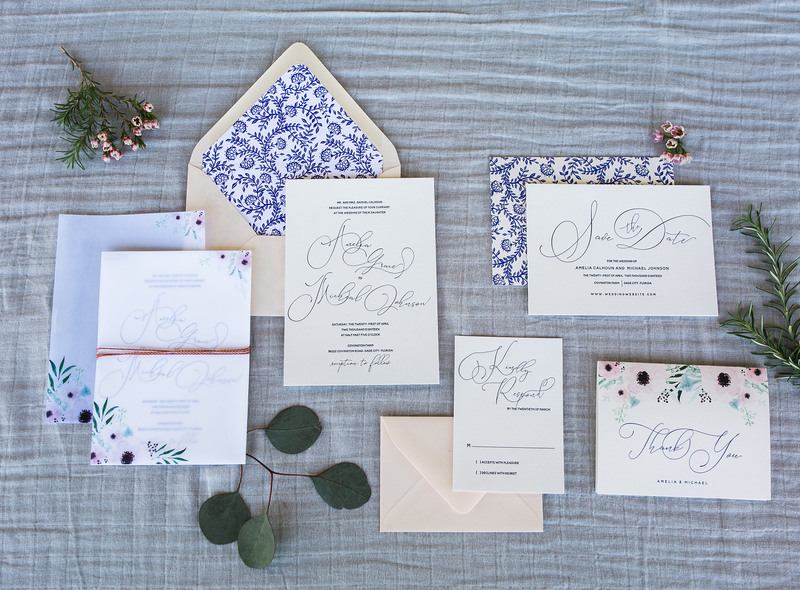 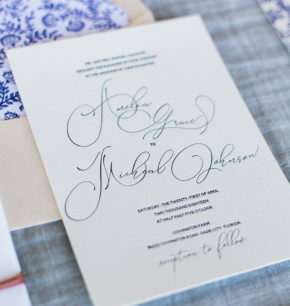 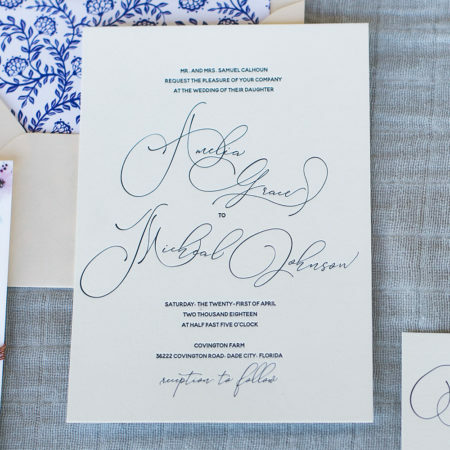 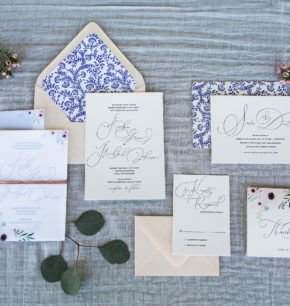 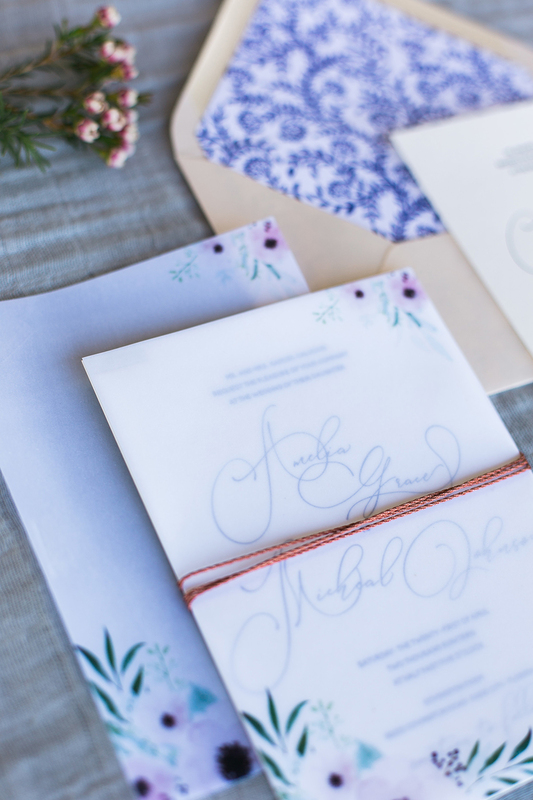 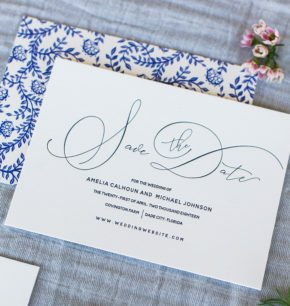 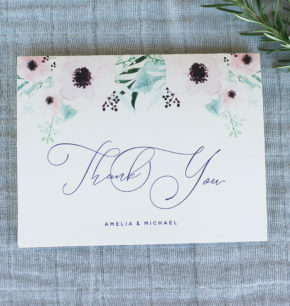 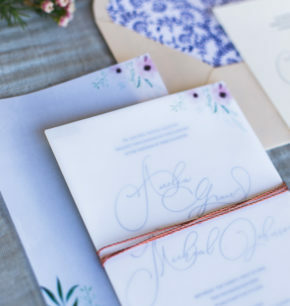 This invitation suite can represent a variety of wedding styles.